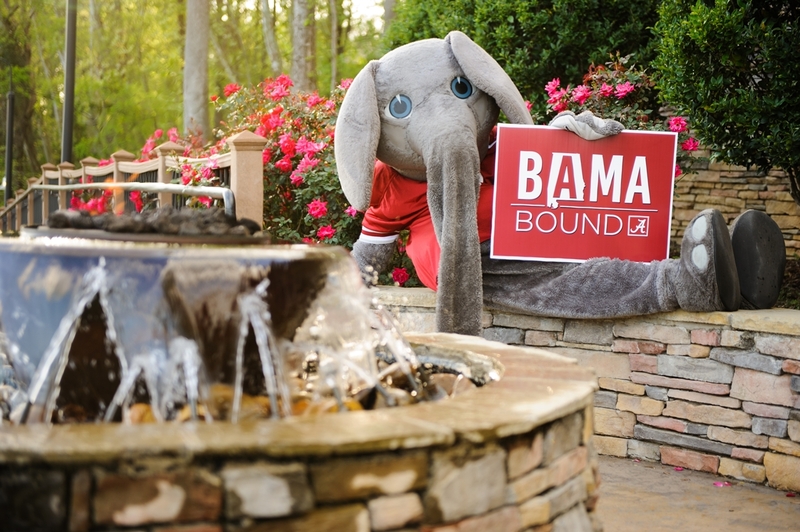 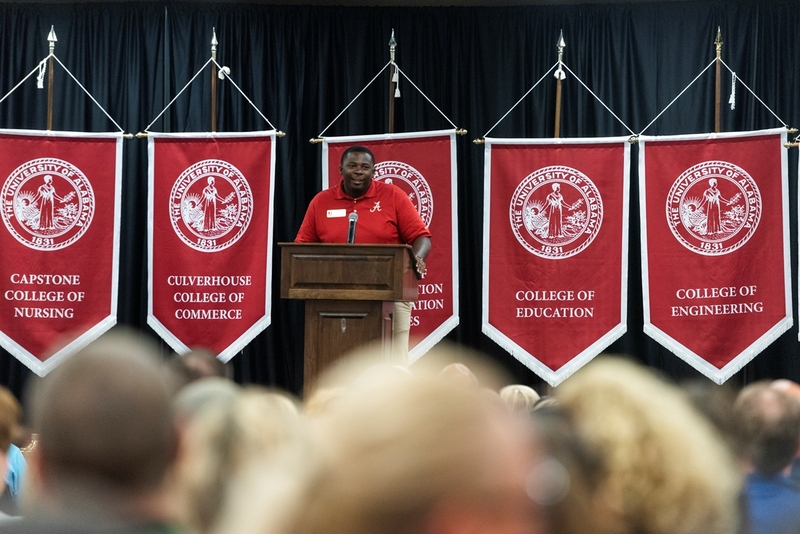 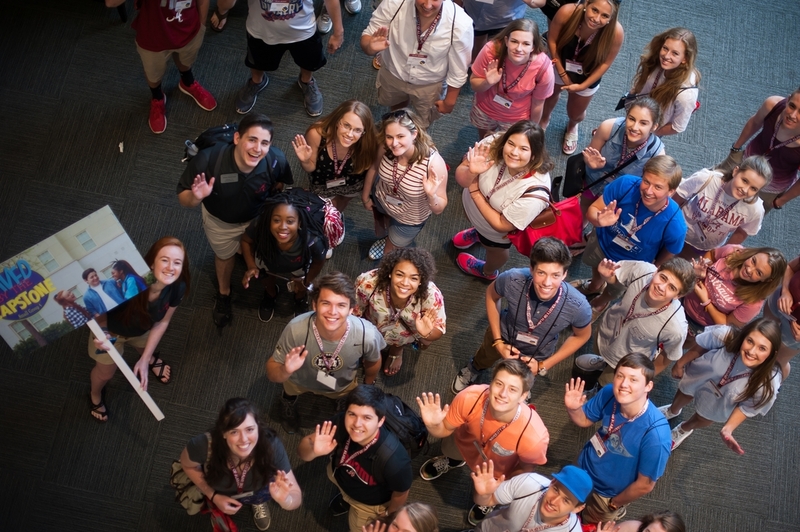 Big Al welcomes parents and students to Bama Bound. 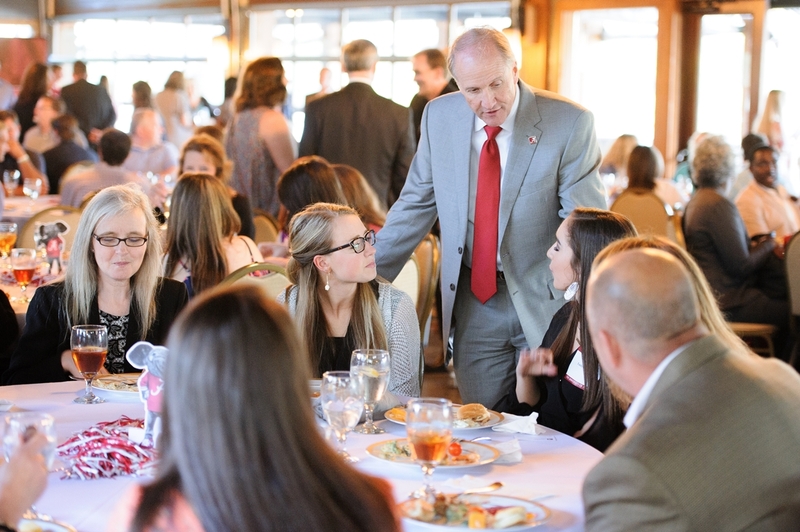 President Stuart R. Bell greets families at the Bama Bound reception. 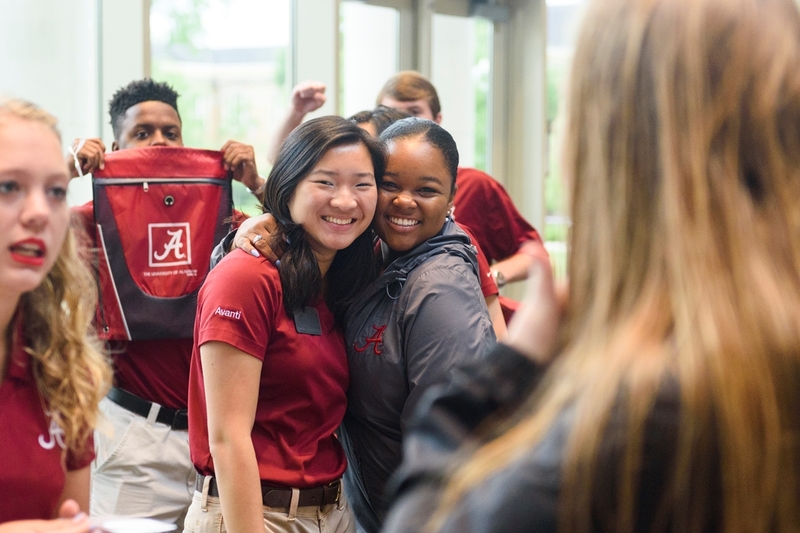 Avanti team members wake up the room with their UA spirit. 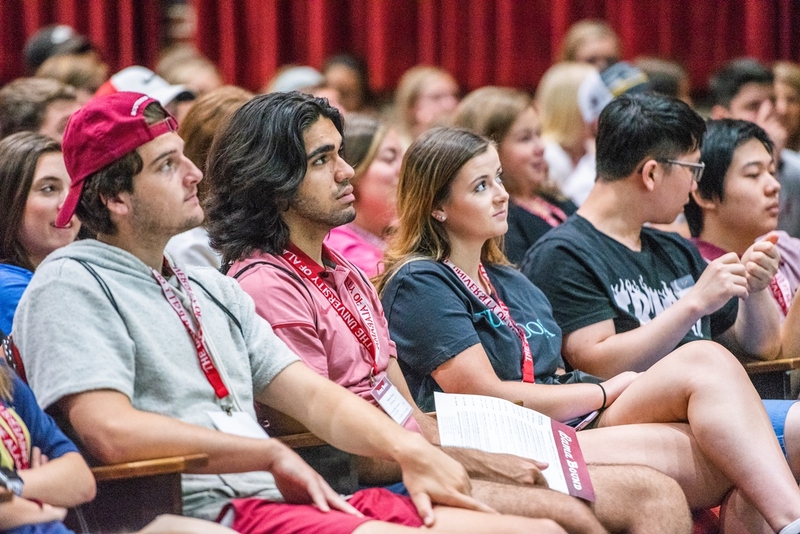 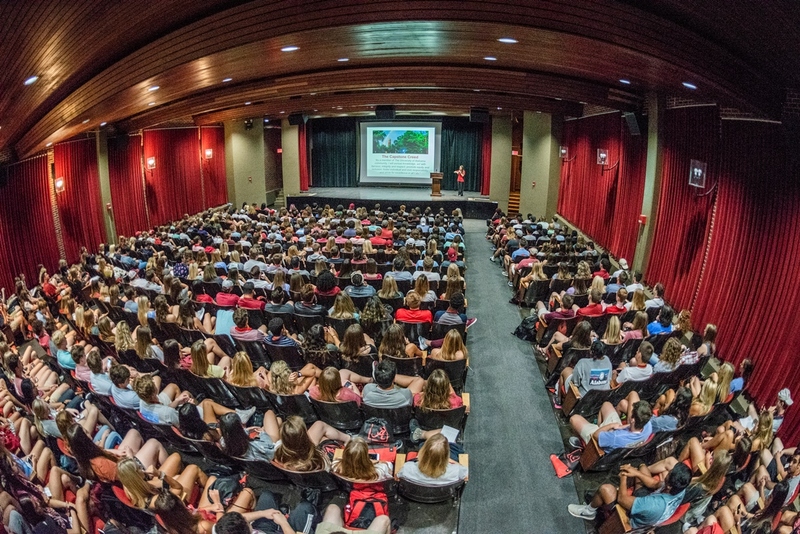 Bama Bound attendees learn about the Capstone Creed. 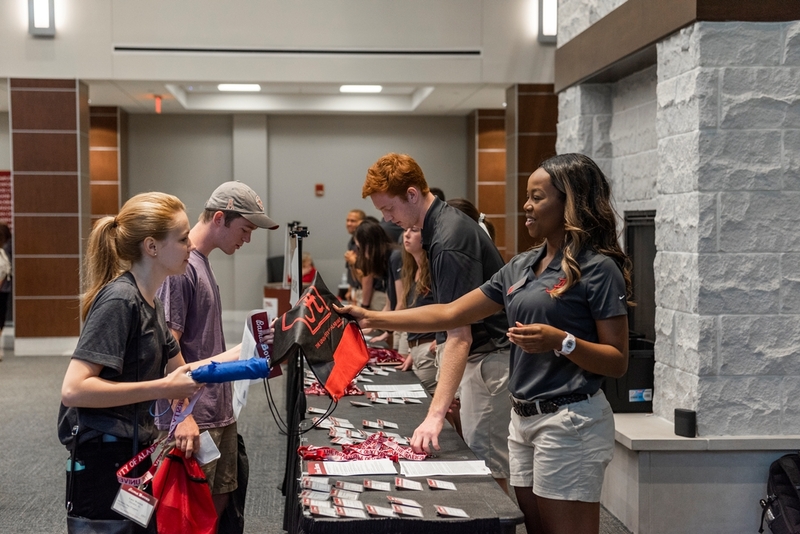 It’s all about transportation on campus. 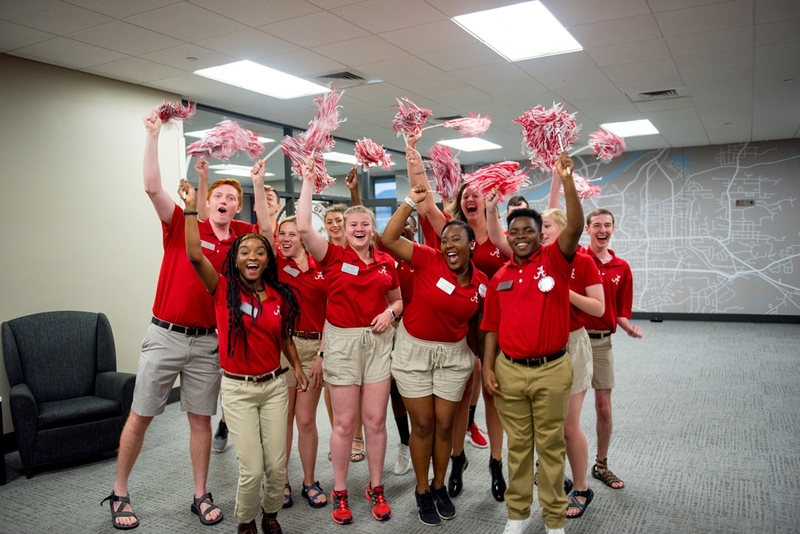 A Bama Bound session in the Ferg. 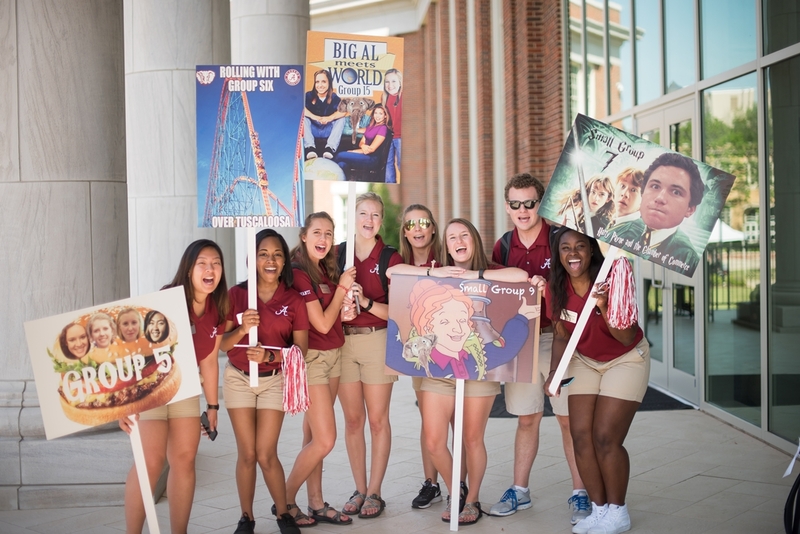 Avanti staff with signs are ready to greet their groups. 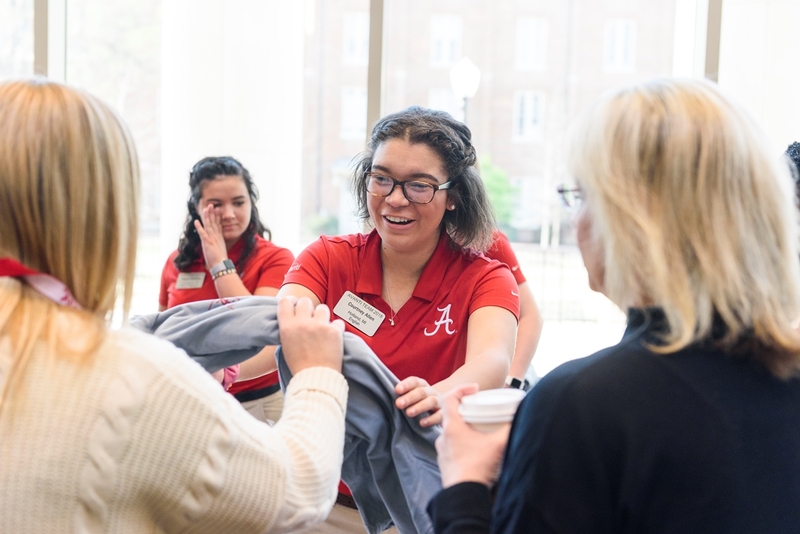 An Avanti member gives an incoming student a T-shirt. 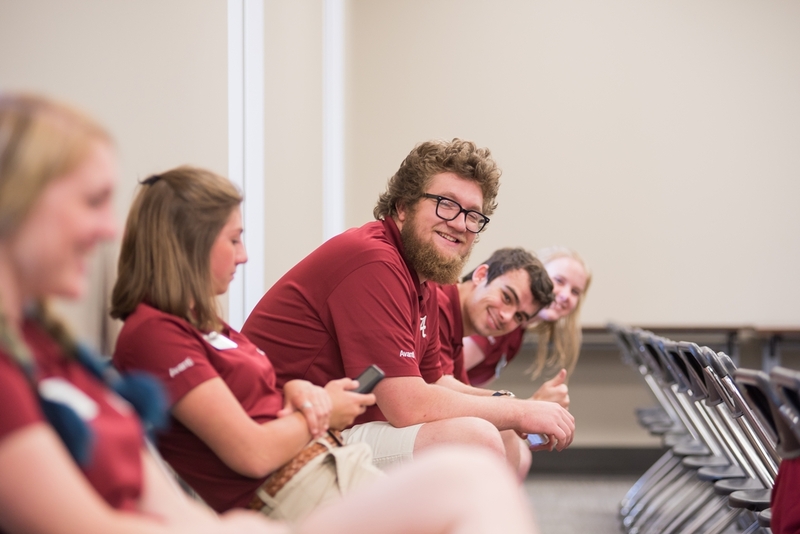 Avanti team members smile for the camera. 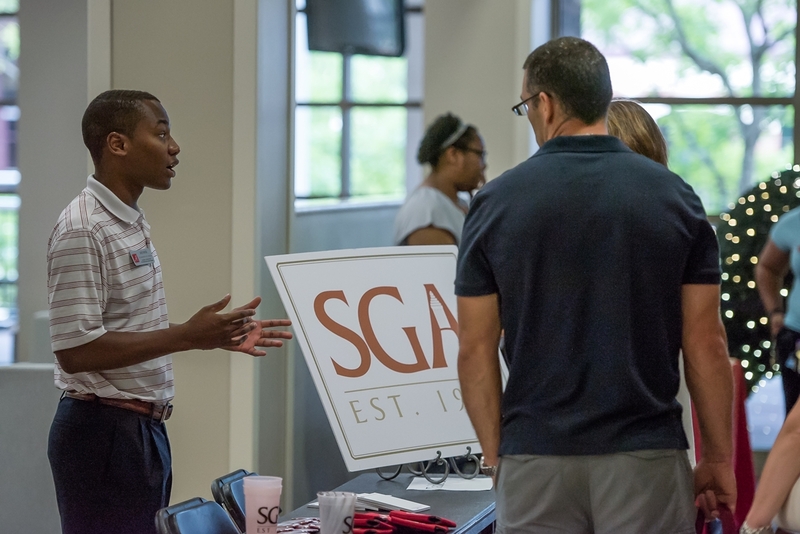 A member of UA’s SGA shares information at Bama Bound 2018. 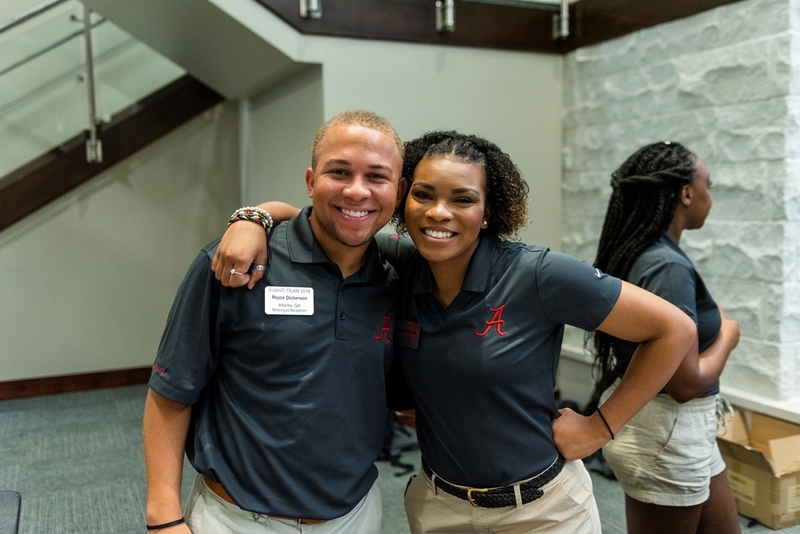 Avanti staff are always happy. 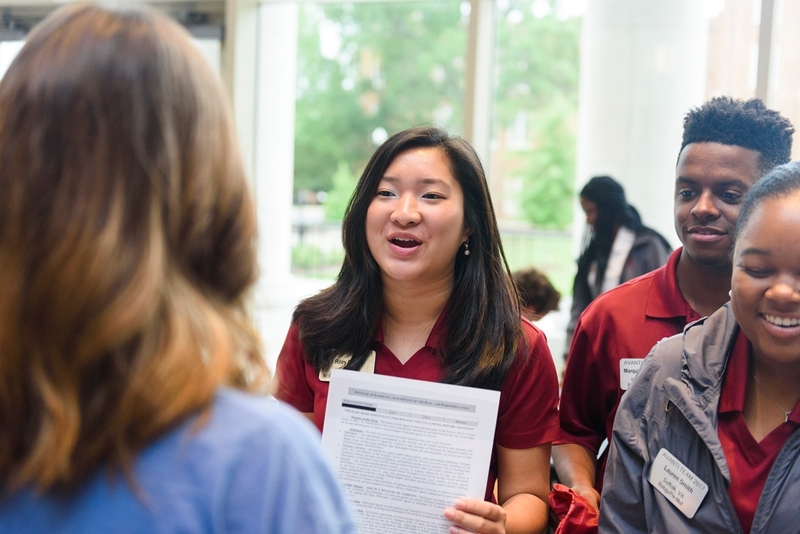 An Avanti team member shares important information. 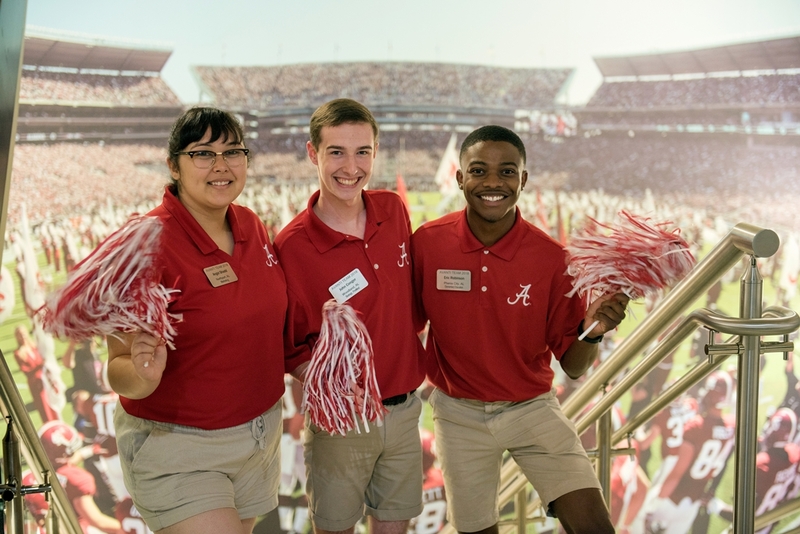 Avanti team members pose in front of the stadium mural in the Ferg. 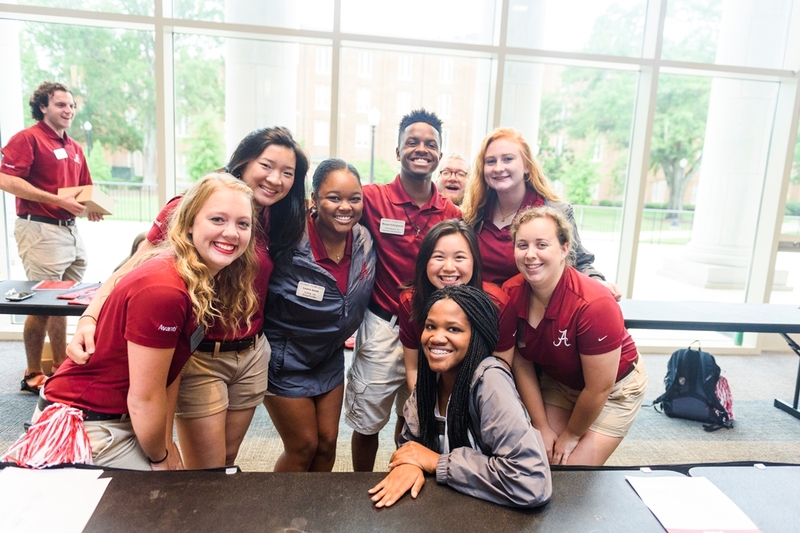 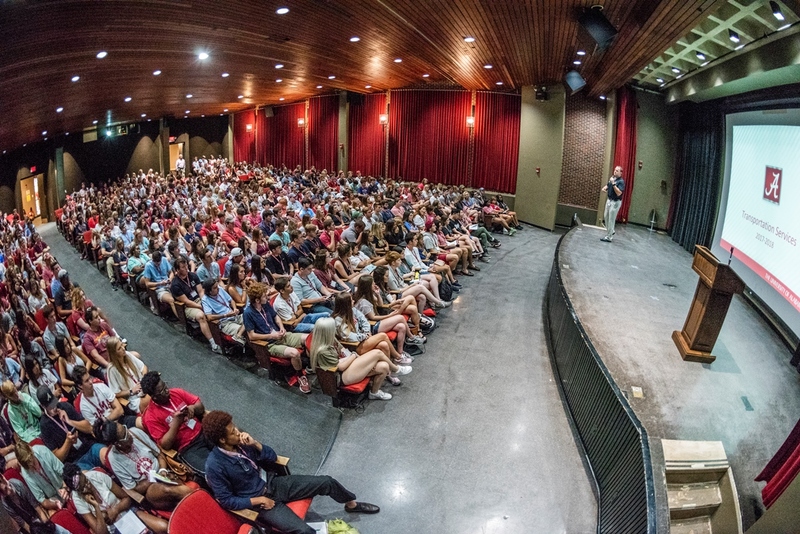 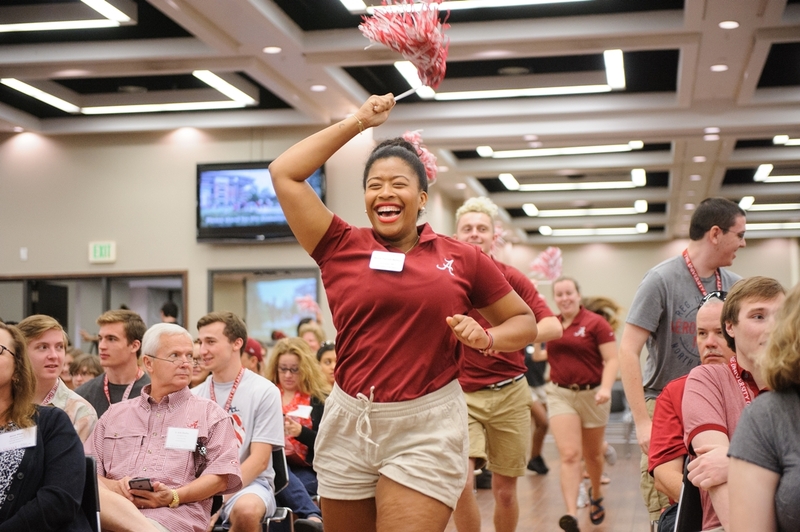 Avanti spirit goes from beginning to end at Bama Bound.